Ekiden is a running race with Japanese roots. Six team members run the marathon in relay form and hand each other a sash, the 'Tasuki', which stands for message. Three team members run 5 km, two team members 10 km and one team member the final 7.2 km. Join and battle for the Open Amsterdam Championship. Is your team the fastest Ekiden team in 2018? There is competition for the Open Amsterdam Championship in five different categories, namely ‘Companies’,’Sports associations’, ‘Schools’, ‘Friend teams’ or ‘Athletics Union competition teams’. But there is also a Kidsrun of 1 km through the Amstelpark. Do you and your colleagues need help to get fit at the start for the Ekiden Run Amsterdam? Especially for companies we offer professional running training to prepare you and your colleagues for the Ekiden Run Amsterdam. Do you want to appear fit at the start together with your colleagues? Or do you want to run a fast time, whether it is the 5 km or the 10 km. Then we can help by creating a training program for you and your colleagues. We work with certified Athletic Federation Running coaches who provide a responsible and complete and challenging training program. Running and fitness combined with running technique and muscle strengthening exercises to prepare the participants for a 5 or 10 km distance. Depending on the level of the team, the training program is drawn up, the program can take 3 to 10 weeks. We recommend a training program of 8 weeks for a team with beginners. Interested in a Running Course? Feel free to contact us so that we can work with you to see what is best for your team. Ekiden Run Amsterdam supports a good cause! The Ekiden Run Amsterdam wants to help underprivileged Amsterdam children by making it possible for these children to become members of a sports club and thus also get the chance to exercise and live healthily. Will you help? Donate extra money to the Youth Fund for Sport. Children between 4-18 years of age living in Amsterdam, who would like to become a member of a sports club, should not be left out because their parents do not have enough money to pay the membership fee. Sports is healthy, gives pleasure to others, strengthens self-confidence and offers opportunities. 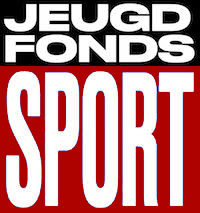 The Jeugdfonds Sport Amsterdam pays the contribution and / or sports attributes up to a maximum of € 300 per child per year. Participate = More opportunities! Will your sports team become Amsterdam Ekiden Champion 2018? Compete with your team against other sports teams, whether it’s a football, handball, or hockey team, you all compete against each other. Of course, winning can be a goal, but it’s also fun to join in for fun and use this event to end your competition season in a fun and unique way. Run together the marathon distance and afterwards, enjoy Japanese food and drinks. Do you have children? Bring them along, they can enjoy themselves by participating in the 1km Kids Run and visit the great playground, Children’s Farm, Mini golfcourse, pancake bakery, etc. A sports club can register with a men’s team, a women’s team or a mixed team of six athletes from the same Sports Team. Will your School Team become Amsterdam Ekiden Champion 2018? Compete with your team against other schools, whether it is a college education, a high school, you all compete against each other. Of course, winning can be a goal, but it’s also fun to join in for fun and use this event to end your school season in a fun and unique way. Run together the marathon distance and afterwards, enjoy Japanese food and drinks. Do you have children? Bring them along, they can enjoy themselves by participating in the 1km Kids Run and visit the great playground, Children’s Farm, Mini golfcourse, pancake bakery, etc. A school can register with a men’s team or a mixed team of six employees from the same school. Join a fun sporting event together with your friends. Putting together a performance by completing the magical distance of a marathon. This is possible during the Ekiden Run Amsterdam. Family is also welcome. There are Japanese food trucks present at the event and in the Amstelpark there are also other catering options, such as a pancake restaurant. For the children there is a 1 km Kidsrun and after the Kidsrun they can go to the large playground, the Kids Farm or play a round Minigolf. A friends team consists of a non-performance men’s or mixed team. 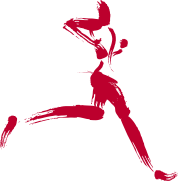 Will your Running Team become Amsterdam Ekiden Champion 2018 ? Of course, winning can be a goal. However, completing the magical marathon distance through the team effort is also a performance worth mentioning. After finishing the Ekiden, it is possible to enjoy the Japanese food and drinks. Competition teams can enroll in a team that consists entirely of men or women. An Athletics Federation License is required for this. The Kidsrun takes place before the start of the Ekiden Run Amsterdam. . The Kidsrun is a round of 1 km that runs along the children’s farm and the playground of the Amstelpark. Upon registration, participants receive a starting number and there will be a prize-giving ceremony for numbers 1, 2 and 3. The Ekiden Run Amsterdam is held in the green heart of the Amsterdam Zuid As area. The park ensures a perfect interaction between beautiful nature, fun activities for children and has a beautiful river view of the river Amstel. The Running course consists of a 5 km course along a beautiful Heemtuin, the Rhododendron Valley and the Amstel. On June 17, 2018, the Ekiden Run Amsterdam transforms the Amstelpark into Japanese surrounding.. In addition to the park, there is ample free parking opportunity!